The exterior of a house is as important as its interior. Even before you begin to visualize the interiors of your ‘would be house’, you start to plan out on what kind of envelop you would use to drape your house with. Questions like ‘whether to use stone or wood for cladding up your house’, ‘whether you will want to have a suave scenic view from your porch’, ‘whether your house will have a patio’ etc usually haunt a homeowner’s mind. 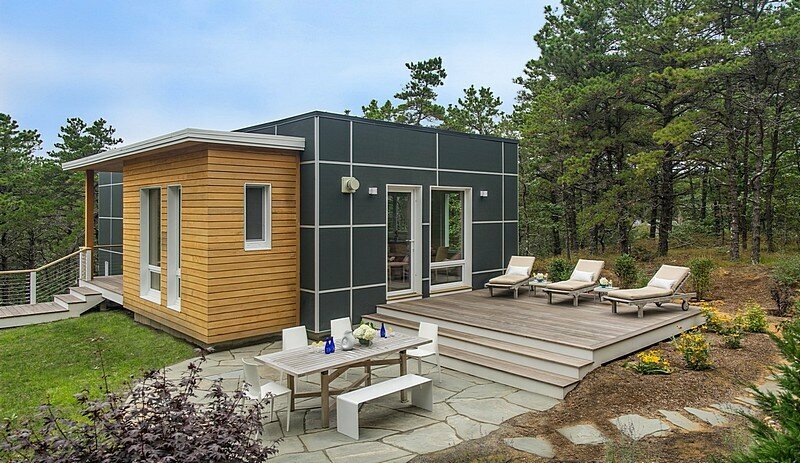 So, if you, too, are trying to look for some of these answers, look at these modern home exterior ideas listed today. All ideas are offered by designers and architects of contemporary times and enable homeowners to give the exterior of their houses a unique touch and look. Home exterior ideas with brick and wood are very much in vogue in today’s times. Why? Its because these two elements merge nicely with one another to form into a distinctive facade for your house. Seen above is a modern house whose exterior is built horizontally with brick and wooden facade. The house has broad windows that let ample sunlight inside. 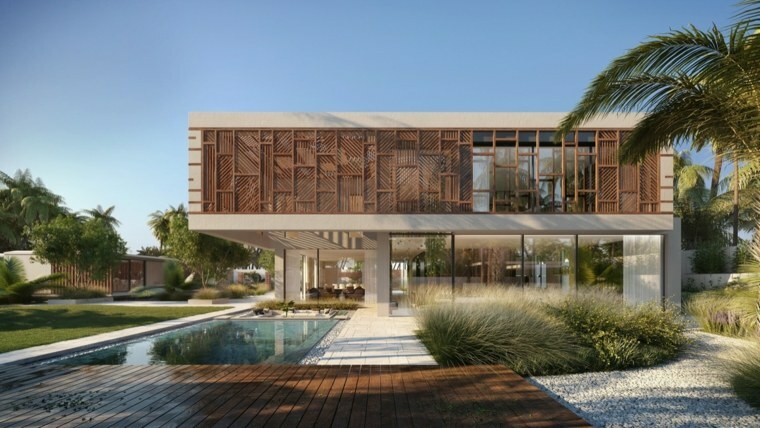 The exterior has a pool that matches the horizontal shape of the house and looks very chic. The house above looks unconventional as its architectural style is different as far as angling is concerned. The exterior features white painted walls and double layered roof. Some greenery too can be spotted at the edges. 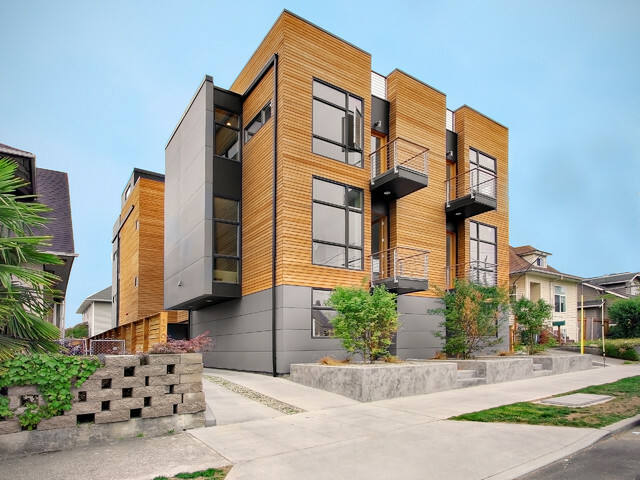 Vertical wood cladding is the new trend in designing contemporary homes. 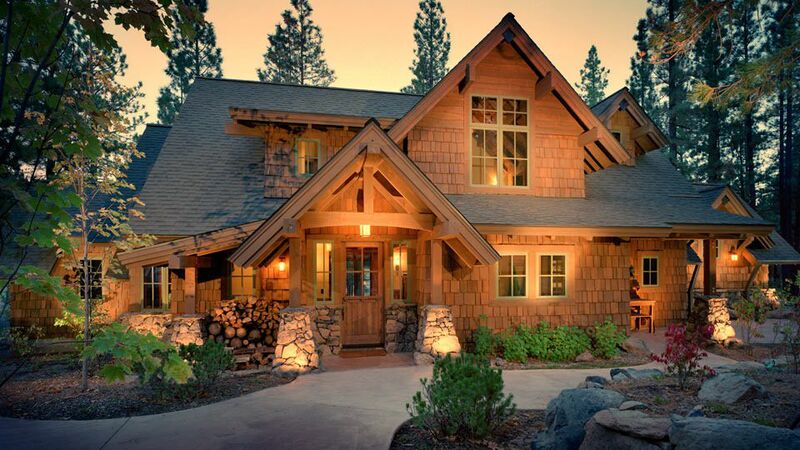 Wood scudding lends a natural touch to a house’s exterior just like the image shown above. The exterior of this house features wooden cladding in vertical shape, extending all the way to the roofing. There is a wide sliding window to let in air and light, plus a small horizontal shaped window with dark frame. Color scheme selection is a vital part of house exterior planning. If the color of the facade of a house is not attractive, then, the whole point of landscaping around it will go waste. The architect who has designed this house above knows which color palette will work wonders for it. He has chosen a blue and white color scheme on the outer body. While, blue is the primary color painted on the walls, white can be seen on the borders of the roof, the windows, and the pillared entrance. There are two garages built just next to the house and these too feature the color combo of blue and white. 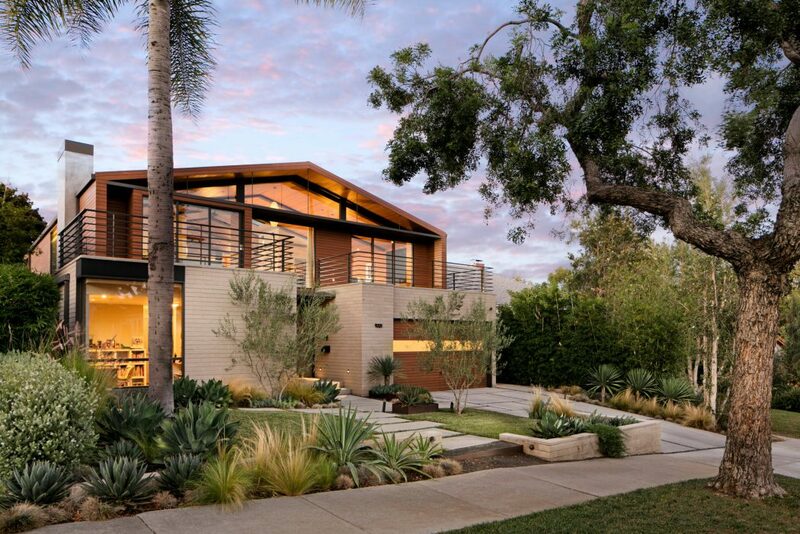 The most striking feature of the exterior of this house is the plate glass window concept used throughout. The facade has wooden cladding to lend it a bit of rustic look. The wooden cladding also helps in brightening the appearance of the house. The horizontal architectural style gets a stylish boost from the vertical styled panels fitted between each window. The Chatham Residence looks both modern as well as traditional with both brick and stone being used on its exterior. Special noteworthy features of this house exterior include the white color palette, use of stone posts and beams, the raised swimming pool that is bordered with stone and a porch built upstairs. The cabin like appearance of the facade looks intriguing. The most mind boggling feature of the exterior of this cabin house is its shingle architectural style made popular during colonial times. The shingle house features triangular sliding roof most typical of shingle residences. The use of brick and wood makes the house appear quiet and warm. If you want your house to look unique than the others on the street, then go in for this kind of exterior. 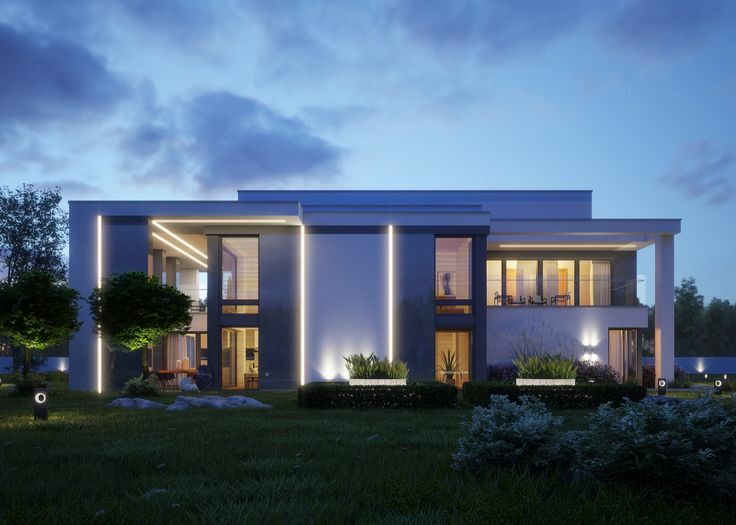 The facade of this modern house features LED lighting on its borders including the walls and the roof. Its a two storey house with a green patch and potted plants. The exterior wall design for house shown above looks engaging with its unique architectural style. Its not a simple and cliched design involving two straight storeys. Instead, it takes a different shape and angle once the first floor finishes. The cladding is made of wood and lends the exterior a rustic look. 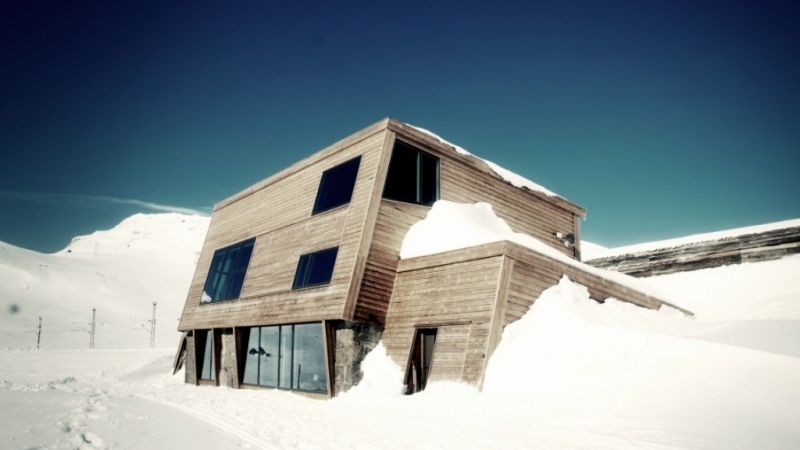 The facade is such that it can tolerate harsh cold and winds. The house above combines traditional with modern as elegantly as possible with its facade’s architecture being heavily influenced by Romans. The exterior has been designed on the lines of a Roman Villa. 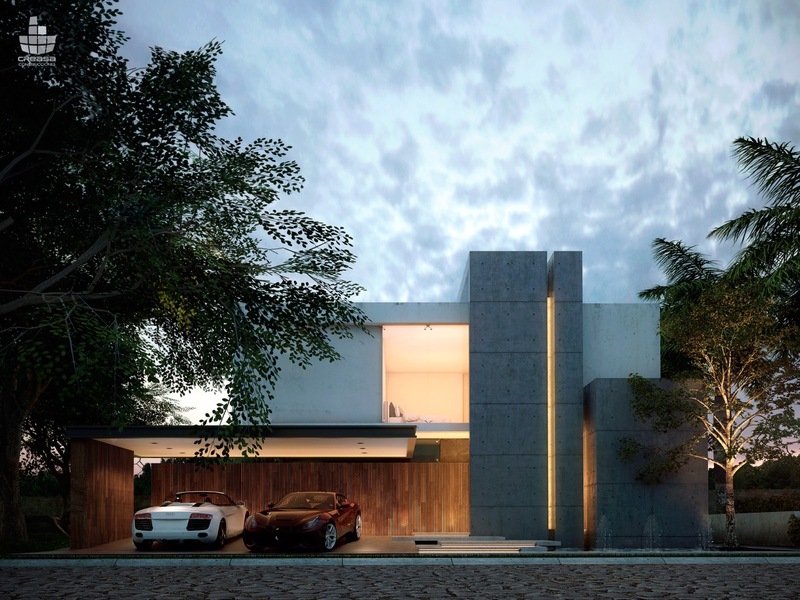 The cladding of the house is done with stone, while the walls are made of light toned stucco. The white window frames seen look trendy and modern while the shingle clay roofing adds a traditional touch to the exterior. People love to use oak when designing the exterior of their houses as it lends a traditional flair and also makes the whole facade appear warm and inviting. Seen above is a cottage styled house that has modern tones, but is also infused with traditional accents that are defined by the oak porch or entrance. The walls are painted in white. 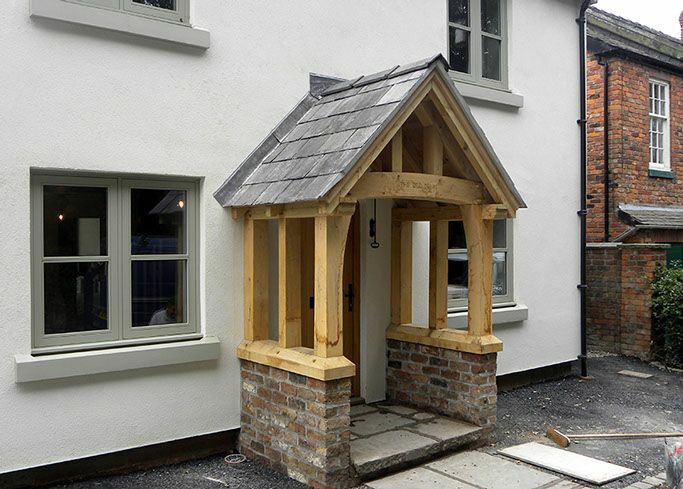 The sloped roofing of the porch looks attractive in slate with oak pillars holding the entire structure. The base is held together by bricks. The architecture of this house is brilliant as you can witness the integration of vertical and horizontal shapes on the facade. On looking closely, you will see that the house has two horizontal levels while the paneled entrance features concrete and is vertical in style. Also, the right side of the exterior has thick vertical blocks made of concrete. The house also features wide glass panels for maximum inlet of light. The two balconies offer the right symmetry to the exterior. If you wish to bring the outdoors to your interiors, then try this style of architecture for sure. 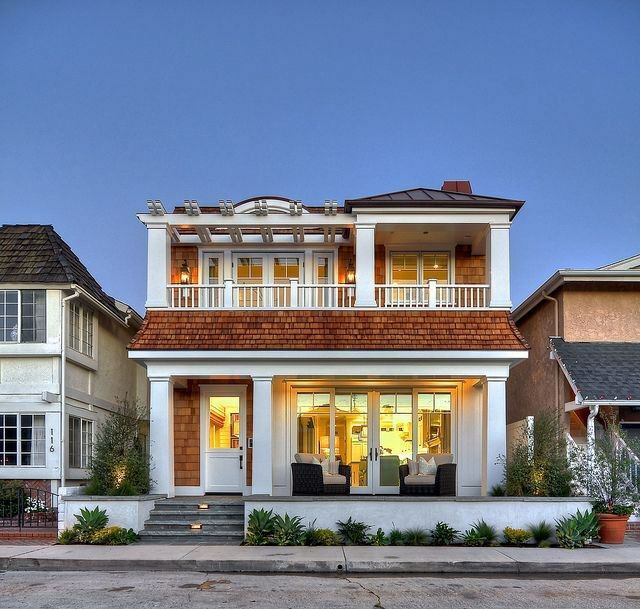 It is an elegant yet modern looking shingle styled house that features a gorgeous porch for added seating. It features a great combo of white and bricks. The shingle roofing above the porch and the entrance are made of clay bricks and lend a traditional touch. The entrance is led on by concrete steps. 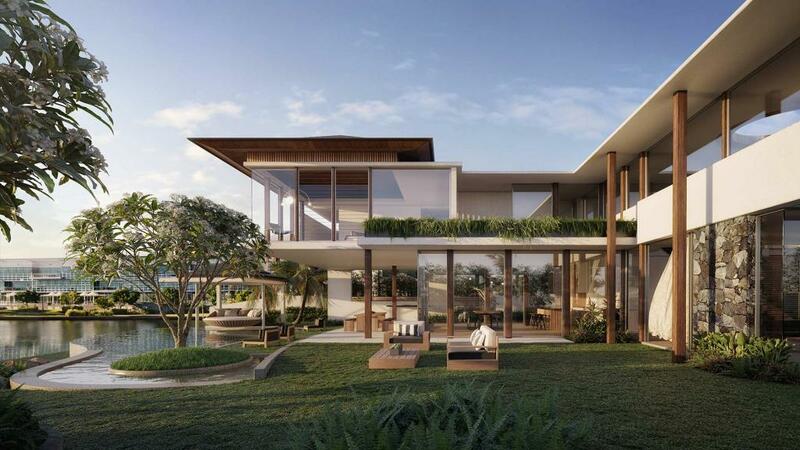 What are the distinctive features associated with this modern beach house, can you guess? Well, its the skylights, windows and the wooden cladding that steal your glance! The designer has used the same material for cladding the walls as he has used for the roofing. The front is kept open with a large deck where you can sit and enjoy the sunset and sunrise. Homeowners of contemporary houses these days have a huge choice as far as modern house exterior materials are concerned. From wood, bricks, stone and stucco, they can play with various elements, and design their exteriors the way they want. 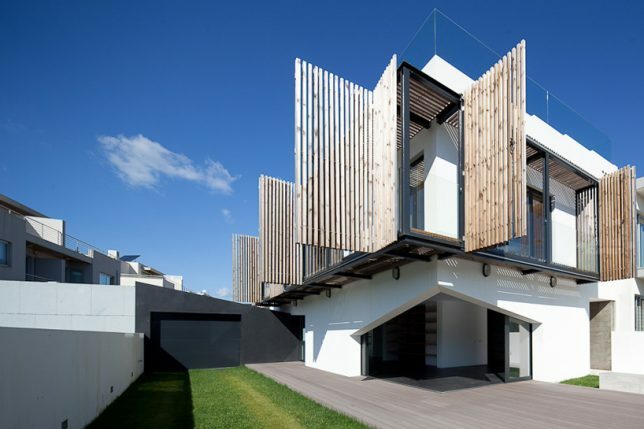 Seen here is a modern themed two storey house that is located on a site that has a slope. The lower portion of the house has a longer horizontal block which looks striking against the top portion that is slightly smaller in size. The house protrudes at the base where there is a narrow pathway with a gate. The glass window panels are wide and let in sunlight. Modern bungalow exteriors feature great combinations of elements like wood, stone and bricks with landscaped patios, gardens and backyards. 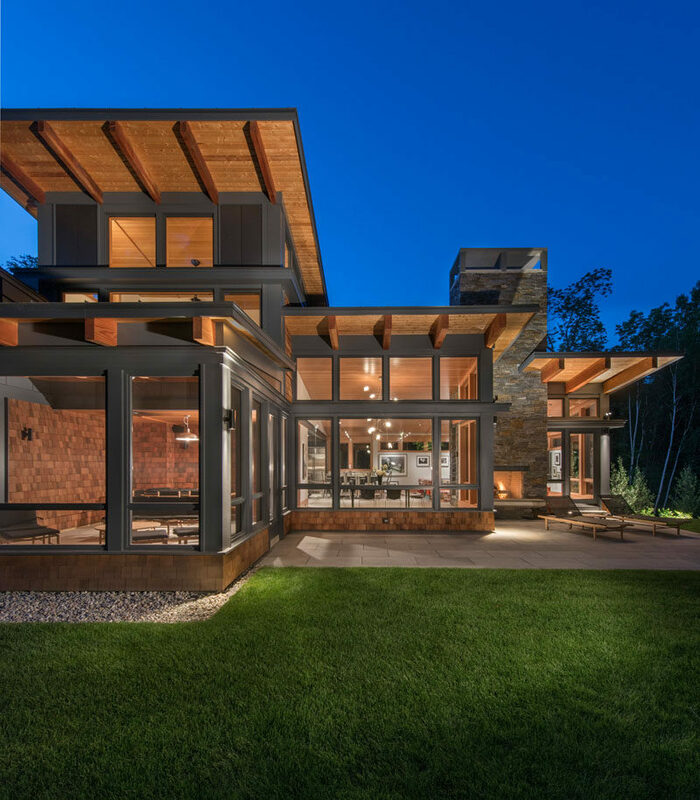 One great example of a modern exterior is seen above where the designers have used the woods as the site for building the house. They have used thick dark paneling for the many wide windows that let air and light enter the house. The roof and the panels underneath it are built of wood and this works nicely with the vertical stone column with the fireplace. The patio is large and features loungers. This squarish block house is made of bricks and a very exotic wood type called Afrormosia. This wood is not used typically as its quite exotic and is perfect for cladding the facades of houses that are built to look unique and different. The major portion of the facade is built with bricks while the lower part is cladded with this exotic wood. The large window lets in loads of sunlight. The three bedroom one story house seen here is an epitome of style and elegance. With two entrance columns built in stone, and a sloped roofing, the house speaks elegance from all nooks and angles. The stone columns at the entrance catch your eyes with their texture and match well with the wooden entrance door. The main door is led on by stone steps. The perfectly manicured garden outside adds to the beauty of this house. The house is without doubts a heaven for beach and ocean lovers. It is built on a location that offers direct view of the Pacific Ocean and has features to let you enjoy the scenic beauty of the ocean whenever you want. The facade is draped with side walls that rise high to offer maximum privacy, and highlight window built on the roof. Apart from the highlight window, there are numerous glass paneled windows to let the scenery inside. One can also spot sliding doors flanking the living room. There is a patio flanked by a stylish pool outside the living area. The roofing is made of timber and integrates well with metallic finishes used all over the exterior. What a swanky house to own! The house features horizontal and vertical styled blocks built out of plaster and concrete. The front part of the facade features thick concrete columns in vertical style. Just next to these columns is the stylish garage built out of wood. It is an open garage where you can show off your luxury cars to the others. This is a house in Mexico where the architects have designed it in such a way that all the spaces are well utilized. The main highlight of this house is its facade that is covered by ceramic and is well ventilated. The variety of ceramic selected here is NBK which is natural and offers durability. If you look closely, you will see that the panels wrapping the facade are made of ceramic which is a material derived out of terracotta. The house is located in Singapore and has been designed by K2LD Architects. 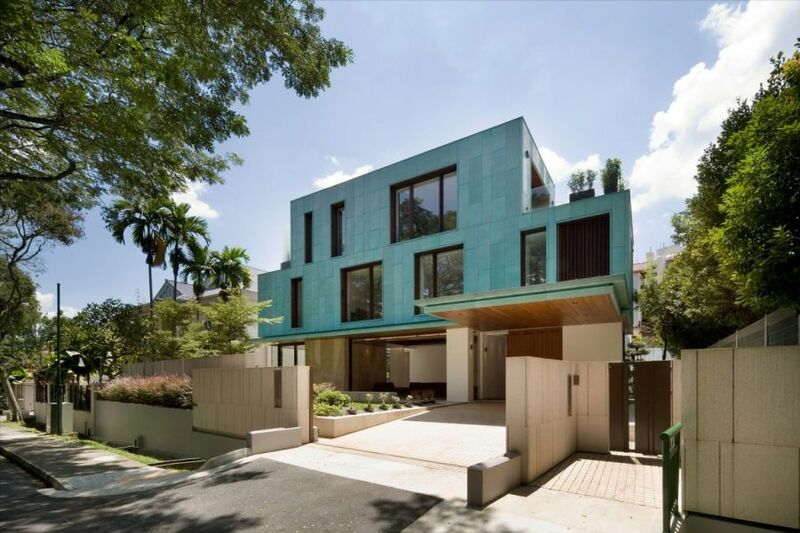 It is a modern styled house featuring a cladding made of patina aged copper which lends a unique look to the facade of the house. The cladding makes the house appear very attractive and has infill of timber as well. The architects have chosen this cladding to offer the house a shied against heat and sultriness. Apart from the cladding, the house features glass doors that slide and allow lots of light and air to come inside. Modern house exterior color schemes make use of unique paints that work together to create awesome facades. One such house is seen here where the designer has painted the walls and the roof using a mint green color palette. These colors make the exterior of this house appealing and very soothing to the eyes. The entrance is flanked by white and brick columns on either sides with a wooden main door. The window frames are painted in white and let enough sunlight inside. Uniqueness defines the exterior of this jungle one story house. The facade is shaped in zig zag and is built in such a way that the spaces located in between the twisted facade manage to get protected from harsh winds and rains. These multiple spaces allow fresh air to come inside and keeps the interior well ventilated. The green roof looks as though it houses a carpeted garden. 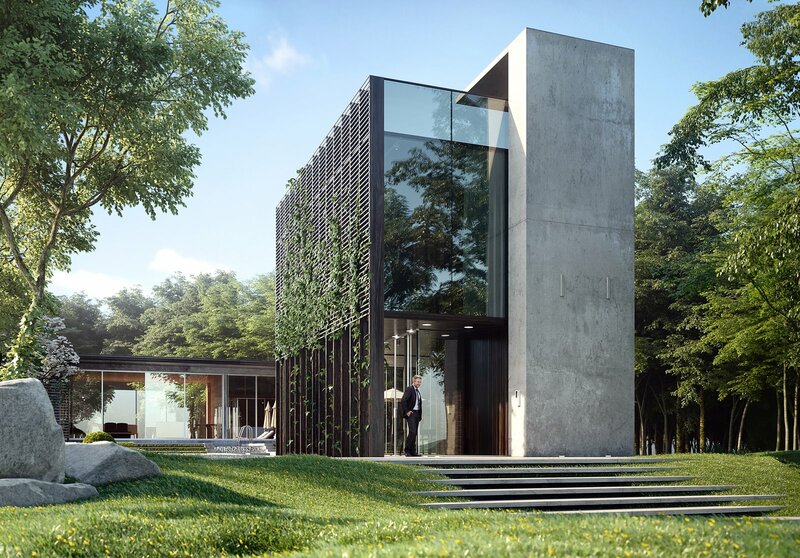 The design of this house is overwhelming as it captures your attention instantly with its perfectly landscaped exterior comprising of thick concrete squares and chic stone ball sculptures. The tree with a bare look adds quite a punch to the landscape of this house. The two storey three bedroom house seen here reflects a modern architectural style. The designer has painted the facade with green and has accented the wall and the balcony railing with houseplants. The landscape also features back and front lawns that are chiseled beautifully to offer its residents a scenic view from the balcony. The driveway is spacious and allows its occupants to park their cars comfortably. It is a green home designed on modern lines and built amidst a verdant pine forest which gives its residents the feel of a vacation home. The house is constructed on 3/4 acres of sloped land and offers ample space for spending time outdoors with features like the deck and the dining patio. The facade is cladded with Eco-friendly fiber cement panels that are held together by aluminium channels. The exterior of the front portion of the house is cladded with cedar clapboards that lend an delightful touch to the whole house. This modern 1074 square foot house in Berkeley appears stylish with a compact look and features a grey and wooden toned facade. While, the right portion of the exterior has grey color palette, the left wall is accented with wooden panels. The other features of this house include a garage door made of glass, stone floors, fence and a pathway. The small landscaped area is beautified with plants. Modern bungalow exteriors of today boast of features that make living a luxurious affair. The facade of this modern house features wood in a big way. The exterior is accented with front windows with dark panels, and a driveway built out of concrete. The house is well ventilated and also features four compact balconies. The house shown above looks like a luxury resort, beautifully landscaped with a dazzling swimming pool framed by greenery all around. The exterior boasts of a color palette featuring wooden and white tones. 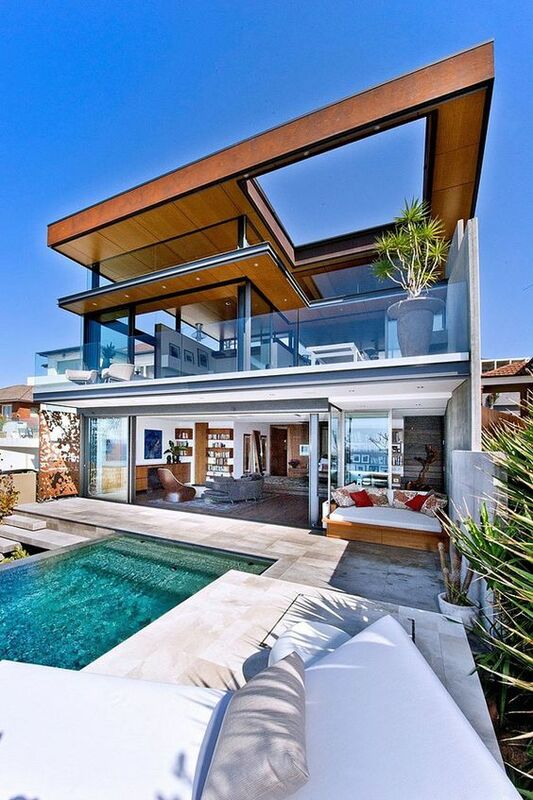 The house is fitted with wall to wall glass windows that offer lovely views of the ocean in the front. The house is a tropical paradise nestling amidst palms and the blue sea. The most striking feature to attract everyone is the bamboo shuttered facade. The swimming pool is framed by a wooden deck on one hand, and a lovely lawn on the other side. The wooden deck looks stylish when pitched against the pebbled pathway bordered by wild tussocks. The use of windows can make or break the look of your house’s facade to a great extent. This is what is seen in this modern house that features stylish windows in columns. The windows add a symmetrical look to the whole house and match perfectly with the perforated window shades that let in light in the day, and during night, these illuminate artistically. The architecture of this Miramar House fascinates us with its temperature regulating feature. The house has been designed with a three side balcony extension. The balcony is covered by operable louvers or screens that are made of wood. This feature helps in regulating the heat by offering a protective shield to the glass windows. It also enhances the look of this white painted modern house. We are sure the design of this house will force you stop walking and take notice of its unusual architecture. 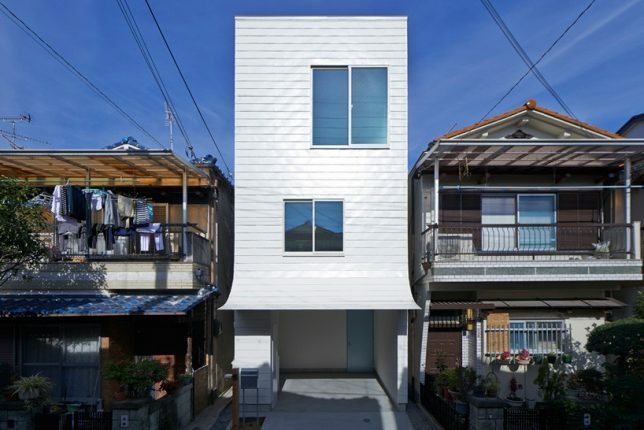 The house is designed with a rolled up facade that adds a twist to its look. It is a white house featuring a canopy like facade that can be rolled up from the floor level when you feel like creating an overhang for parking your car. Perforated shutters and windows are a new age architectural phenomenon to have hit homeowners in a very big way. The house built by Jackson Clements Burrows is a great example of how you can integrate perforated shutter with the exterior of a home. The facade is wrapped up with white perforated shutters that help in screening out heat and too much sunlight during the day. And, in the night, these can be opened to enjoy looking at the views outside. These perforated shutters act as ventilators and cost less. A green hamlet nestles this beautiful asymmetrically designed white house that features a stunning white brick facade and inlets that act as a screen. The inlets helps in ventilation and also keep the temperature in control. The whole design is harmonious as it integrates well with the surrounding greenery. Featuring a tall and thick column of concrete, this contemporary designed house is a visual delight. The architect has masterfully blended glass and concrete together with natural green surroundings. The facade features a slatted wall with glass panes in vertical style and blinds. The rocks installed in the garden lend a sculpted look to the landscape. Featuring an unusual architectural style, this house looks unique with its convex front elevation, a roof in ascending direction, and sloped patios for comfortable outdoor living. 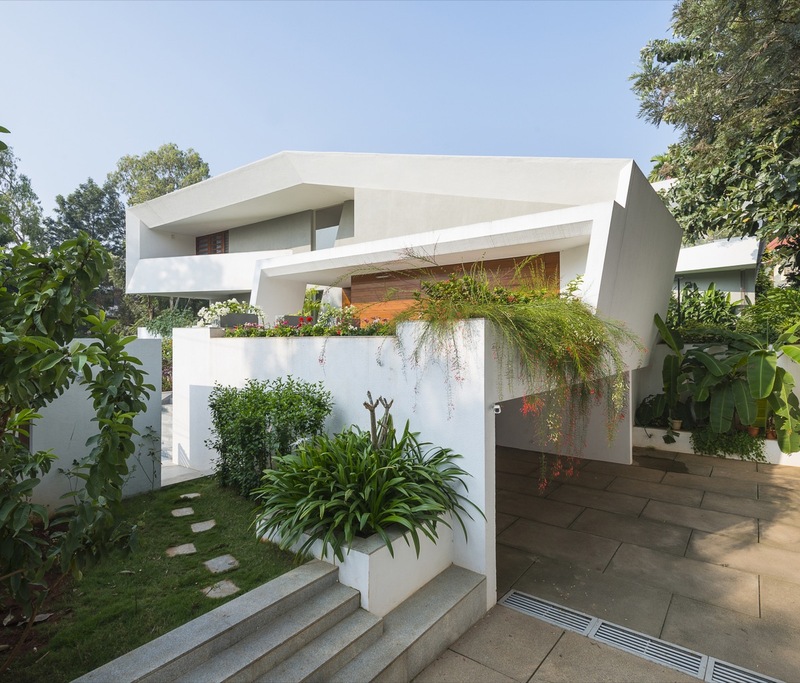 The house stands striking on a flat area sculpted by a verdant patch of green. The visually appealing house on the street comes with its distinctive features that make it stand apart from the neighboring houses. The facade features a great integration of wood and brick, and two big and black colored balconies crafted out of iron. The garage is built with wood and brick and matches with the pathway and the front-way leading to the entrance. The landscape is sculpted with gorgeous shrubs and succulents. This Jenga inspired house exterior boasts of two striking color tones of black and white. The facade offers a visual interest with its black block which sits over the white one. The house is ventilated by lots of glass windows and a balcony upstairs. There is a pebbled pathway that welcomes the guests inside. The exterior wall design for house that you can see here boasts of chain windows made of metal. These metallic chains in black render a unique style to the facade of this house. These work as ventilators and keep the heat under control. The landscape also boasts of a mock coral reef with live aquatic animals. The house is designed on a row of well sculpted lawns and looks striking with a grand staircase leading to the top level. The sculpted lawns are beautified by a white pathway. The borders of the ceilings are lit up and offer a great accent for the exterior. Matching the lit border ceiling are the golden globe chandeliers that illuminate the darkness of the night. Stone forms in integral part of modern house exterior materials. It is an ever popular material that most homeowners use when building their homes as it lends an ethereal and earthy touch to the exteriors as well as interiors. 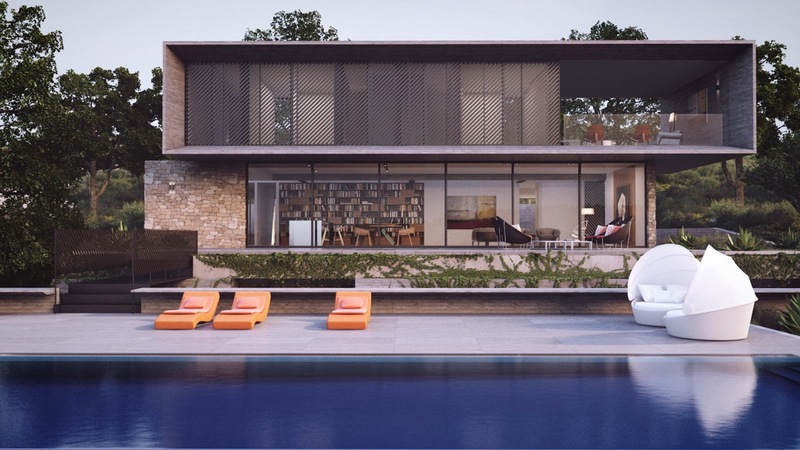 Seen here is a modern house that features stone walls with perforation and a pool. The space in-between the perforated walls and the interiors offers privacy. 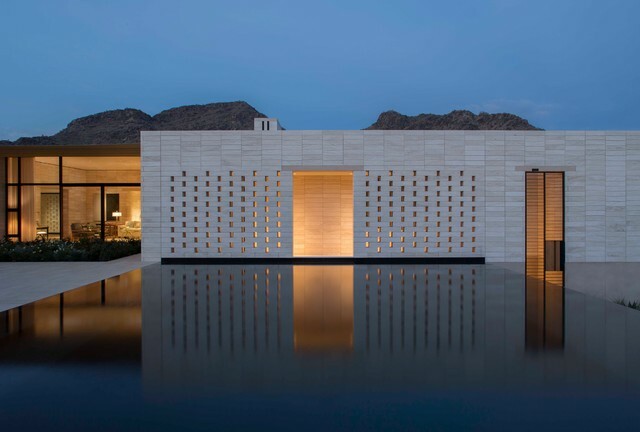 The architect has cleverly integrated the water body (pool) and the perforation technique to enable faster cooling of the spaces inside the house. Seen above is a modern Las Vegas home that is designed to offer its residents the ultimate sanctuary where every nook and every angle shouts ‘luxury’! 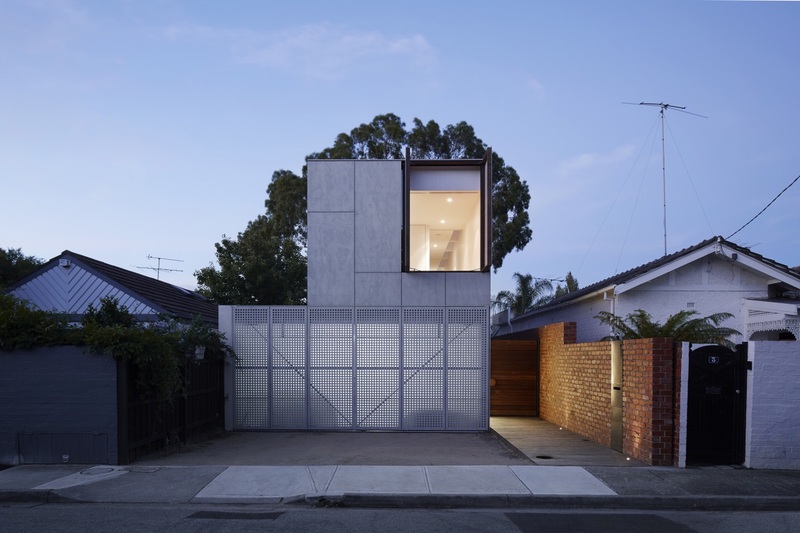 The two storey house features metallic panels in triangular shapes that cover and screen the windows. There is a staircase leading to the patio at the ground level. A linear row of plants in front of the house welcomes you inside. Built on an elevation, this house leads you to its entrance through a flight of wide stone steps. The highlights of its facade are the five balconies that offer you a great view of the surrounding areas. The balconies are well illuminated and make the house visually interesting. These above presented modern home exterior ideas are bound to make living not merely fun but luxurious too. All of these ideas integrate various elements like stone, concrete, brick, plasters, glass, metal and timber harmoniously. These blend efficiently with one another to form geometrical, asymmetrical, zig zag and umpteen other unusual shapes to make living stylish and mod.